How good is corn at the moment? So good we just had to use it in this week’s recipe! This dish is perfect for cooking with the kids or even guests at a dinner party. Don’t rush risotto – that’s the secret it takes time time and stirring. 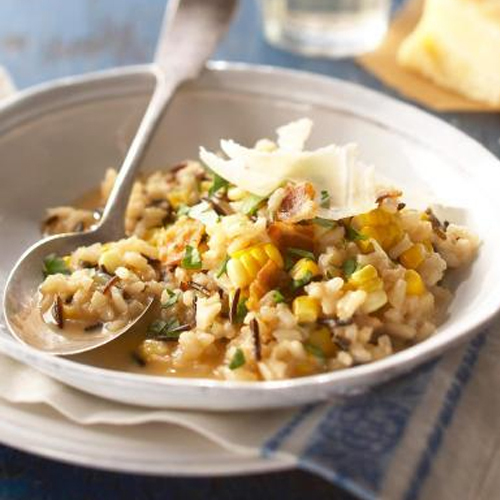 The sweetness of the corn and nutty wild rice give an Aussie Summer twist to the classic Italian rice dish. you will find the recipe in our recipe library website – Enjoy!